Kyoto at night. Out to dinner in the rain. 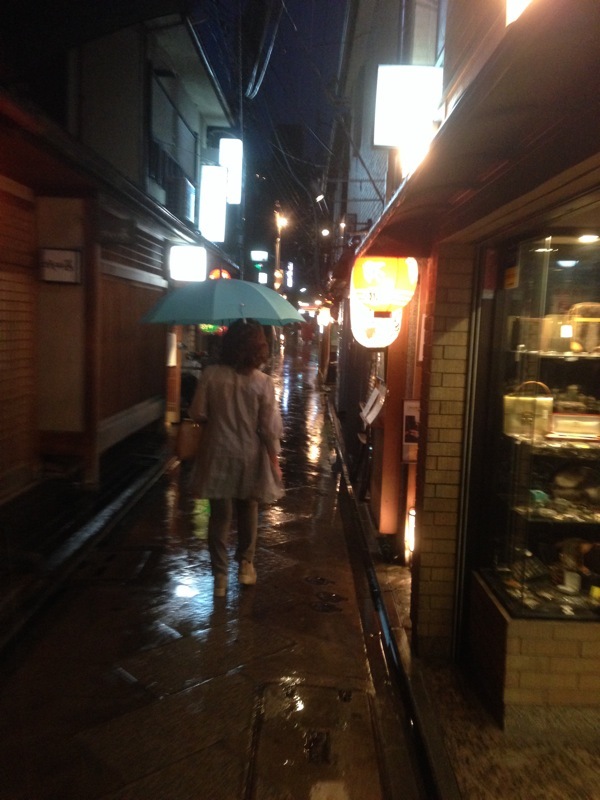 Down a back alley loaded with restaurants and a few Geisha. Blade Runner much?